Teachers and students of WCS! 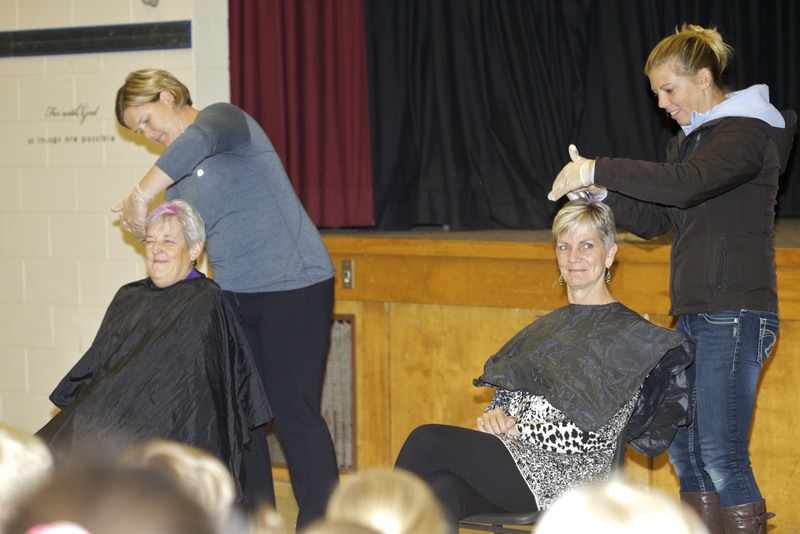 The challenge was put to the students that if they raised $3500 for the Terry Fox School Run, their teachers would colour their hair PURPLE. 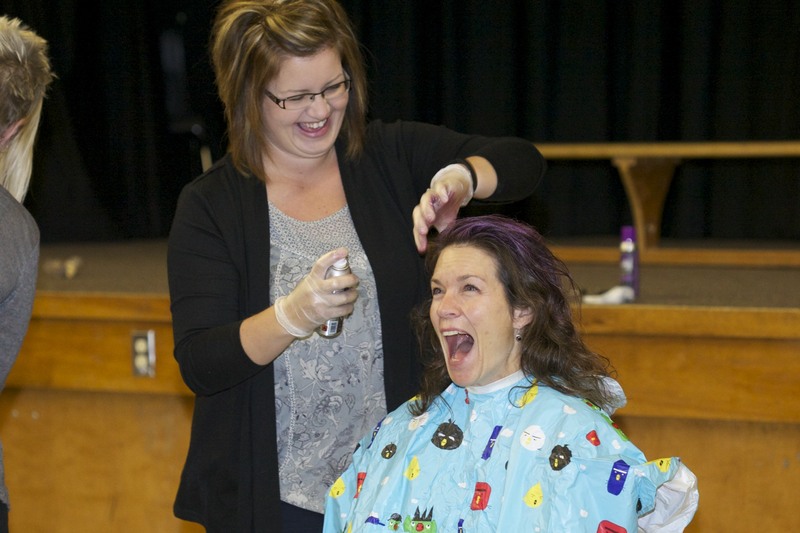 This morning, several parent volunteers (with hair colouring experience!) 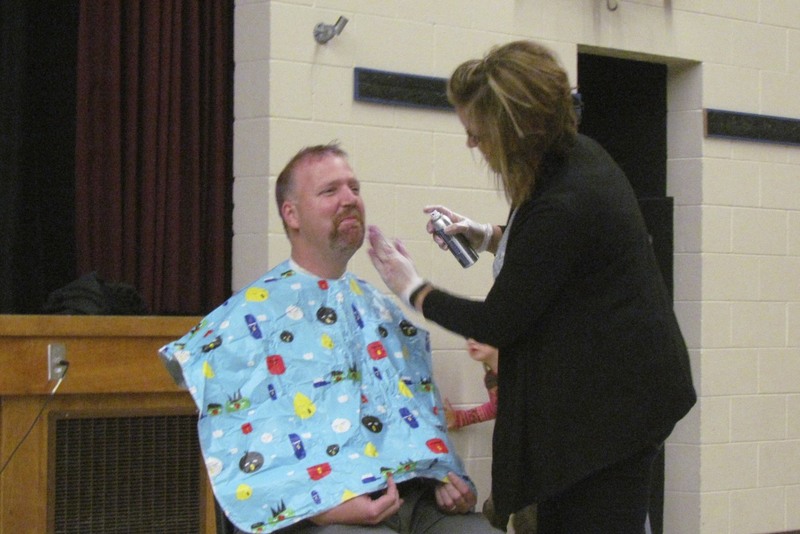 joined the school body in the gym to celebrate.... we raised $3548.80!!! 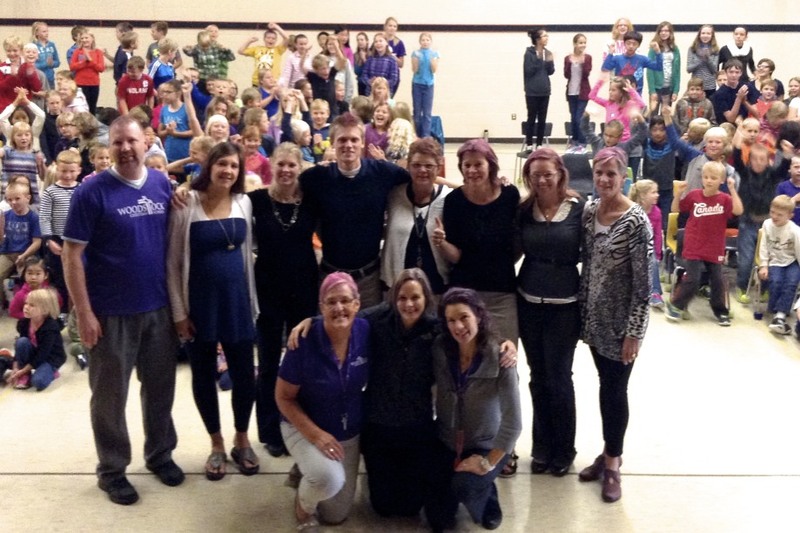 Teachers lined up on chairs and the experts went to work colouring teachers' hair purple(our WCS colour). What excitement and cheering!! What a wonderful way to start Thanksgiving Week at WCS! 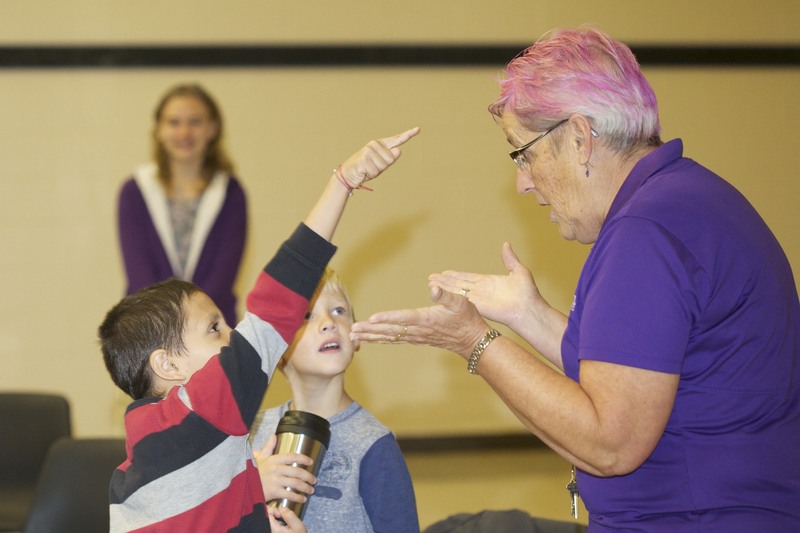 Thanks students and families for diligently collecting pledges for this cause, thanks to teachers for being willing to have your hair coloured PURPLE, thanks to our Terry Fox Run school leader, Mrs. Jannette Hickey and thanks be to GOD who holds us all in His hand. Our prayers continue for all those who face cancer daily... for God to bless you with strength and courage and healing!